At the request of EPJ, Freedom of Information Act expert Jerry Jordan filed an FOIA request for any FBI records on Ludwig von Mises. Friedrich Hayek and Murray Rothbard. The FBI reported back that they had no files on Mises and Hayek. But no so with Rothbard. There is a Rothbard file. The FBI responded that a number of technical questions had to be resolved before the Rothbard file could be released, such as proof that Rothbard was dead, etc. Jordan is in the process of responding. 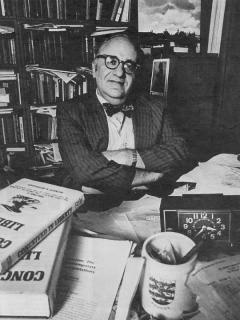 It will be hard to prove that Rothbard is actually dead, because he has continued to be such a prolific publisher since January 7, 1995, probably publishing more material, and certainly more valuable material, than many academics who are allegedly still alive. That could be a juicy read, if it is ever released. So the FBI isn't even competent enough to know if the people they have files on are dead or alive? Or is it that they have files on so many people they can't possibly keep track? Either way it gets to the nature of the operation. I filed this request before. Nothing doing. @JimmyJoeMeeker, FBI requires you send proof the person died before releasing the files. Probably something to do with the way they store the files and don't want to waste the time if the person is alive. I used the NYT obituary when I filed. If the FBI already processed your request and made a positive determination, why would they need to make a new determination for subsequent requests?